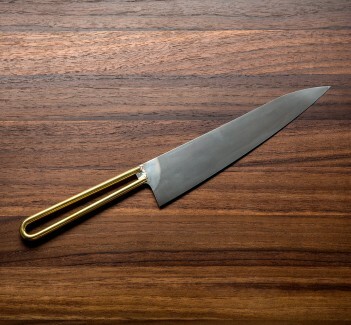 Jelle Hazenberg forges iron clad san mai with a Hitachi Blue #2 (aka Aogami #2) carbon steel core to create this thin, beautiful 215mm sujihiki, the perfect slicer for serving at the dinner table, prepping at the sushi counter, or in the kitchen. Jelle forges to shape, quenches in water to obtain optimal edge performance with a harness rating of HRC 62-63, and hand polishes the blade to 1000 grit before etching. The chacate preto wood handle is shaped for an ergonomic fit and wonderful feel, accommodating a pinch grip as easily as a traditional hold. 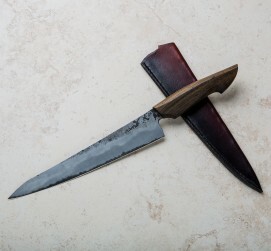 A leather sheath handmade by Jelle is included. Processing large amounts of produce in a commercial kitchen in Ireland, Jelle Hazenberg, originally from The Netherlands, realized his work could be made far more efficient with the right tool for the job. 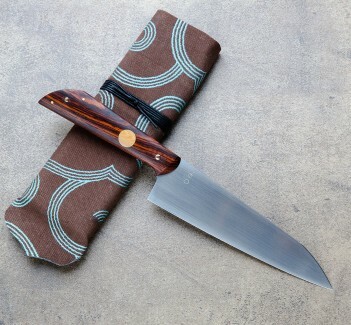 So he began to teach himself bladesmithing, and the accompanying metallurgy, immersing himself in the nuances of knifemakiing and focusing on high-performance water quenched blades made from highly regarded Japanese steels such as Blue #2 and White #2. Jelle's beautifully carved handles, like his overall aesthetic, are unique and organic in form, and above all, his knives are tools, functional and purpose-driven. We are excited to represent Jelle and his work here on Eatingtools. Blade length: 8.5" (215mm). Overall length: 13.5". Blade width at heel: 2.4mm. Blade width 1" from tip: 1.3mm. Blade height at heel: 39mm. Weight: 4.6oz / 130g. 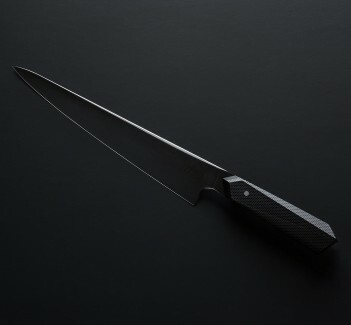 Carbon steel san mai blade with Blue No.2 core and wrought iron cladding. 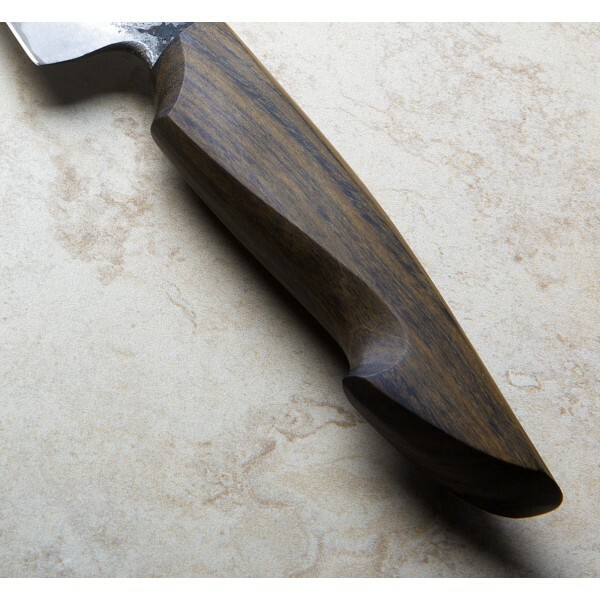 Chacate Preto wood handle. Leather saya.